From its sublimely perched old churches and watchtowers dotting fantastic mountain scenery to its green valleys spread with more than 500 grape varieties, Georgia (Sarkartvelo) is one of the most beautiful grape escape destinations on earth. Equally special are its proud, high-spirited, cultured people: Georgia claims to be the birth place of wine, and this is a place where guests are considered blessings and hospitality is the very stuff of life. A deeply complicated history has given Georgia a wonderful heritage of architecture and art. Tbilisi, the capital is still redolent of an age-old Eurasian crossroads and is the venue (Hotel Tbilisi Marriott) for the 6th International Wine Tourism Conference. Day 1 Friday 28 March: Arrival day. Day 2 Saturday 29 March: Wine Tourism Conference programme. Highlights include Georgia – Cradle of Wine – Giorgi Sigua, Georgian National Tourism Administration, Re-Inventing Tradition: Qvevris, Amphorae, Concrete Eggs, & The Natural Wine Movement, Deborah Heath & Jeff Vejr, Lewis & Clark College/drinkSNOB.tv and Wines of Georgia Grand Tasting led by Master of Wine, Sarah Abbot MW. Dinner at a local restaurant. Teliani Valley follows Georgian tradition of winemaking and at the same time, uses modern technologies, knowledge of young, motivated professionals. Twins Old Cellar” was established by twin brothers Gia and Gela Gamtkitsulashvili in 2000 year. Wine making in the company is based on Kakhetian method of wine production and follows family traditions of wine making. In 2002 they restored ancestors cellar and “Zavod”. 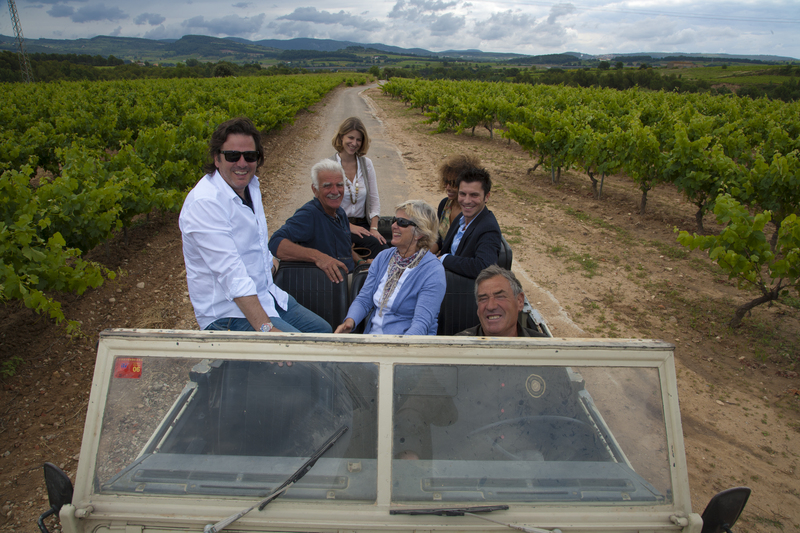 They grew Rkatsiteli and Saperavi vineyards and expanded their cellar. At the moment the cellar operates 107 Qvevris most of them having 3.5 – 4.5 tones capacity. Over 750 hectares of the finest vineyards are owned and cultivated by the cWinery Kareba, the majority of which are to be found in the traditional Georgian viticultural regions of Kakheti, Imereti and Racha- Lechkhumi. Besides the production of fine wines, another of the company’s goals is the identification and cultivation of other old traditional Georgian varieties of grape. Winery Kareba also produces sparkling wines according to the classic 12 month ageing method. The Winery Khareba produces: appellation of origin wines; wines aged between 1 and 3 years in French oak barrels; original table wines; dry and semi-dry sparkling wines fermented in the bottle and aged for at least 12 months; and Qvevri wines. Established in 2001, “Kindzmarauli Marani” is a producer of exquisite Georgian Wines and Spirits. 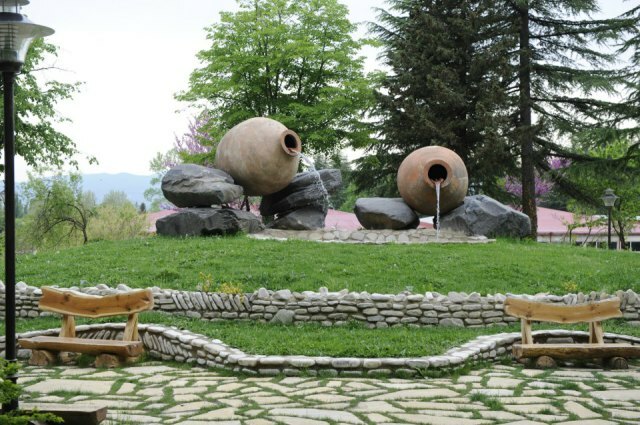 The winery is located in the heart of the Kakheti Region – Kvareli. The unique location and terroir enable the company to produce over 20 varieties of wine, including the eminent Appellation Controlled – Kindzmarauli, Mukuzani, Kakhetian Royal White, Tsinandali, etc. KM is also proud of its Chacha, a traditional Georgian spirit well known for its originality. KTW is strongly linked with Antimoz Chkaidze, a winemaker who founded one of the best wine cellars of the time in the 80-ies of the XIX century in the Gurian village of Askana, making wines from a unique grape variety – “Chkhaveri.” As well as making wine, KTW also produces brandy and traditional Georgian Chacha. Transport during winery visit programme.